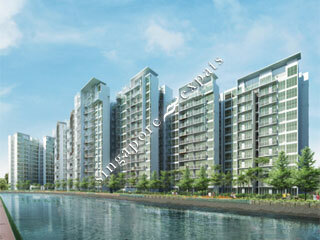 1 CANBERRA is located at 1 - 25 CANBERRA DRIVE in district 27 (Sembawang, Yishun) of Singapore. 1 CANBERRA is a 99-year Leasehold Condo development consisting of 665 units. 1 CANBERRA is completed / TOP in 2015 (estimated), developed by MCC LAND (SINGAPORE) PTE LTD.
Educational institutions like FUREN INTERNATIONAL SCHOOL, GEMS WORLD ACADEMY (SINGAPORE), SINGAPORE AMERICAN SCHOOL, YISHUN PRIMARY SCHOOL, AHMAD IBRAHIM PRIMARY SCHOOL and CHONGFU SCHOOL are near to 1 CANBERRA. 1 CANBERRA is accessible via nearby YISHUN, SEMBAWANG and KHATIB MRT Stations.